Deb's Cup of Tea: Happy Birthday, Sis! Today is my sister's birthday. I'm having fun with the scanner in the office since my home scanner doesn't want to work. 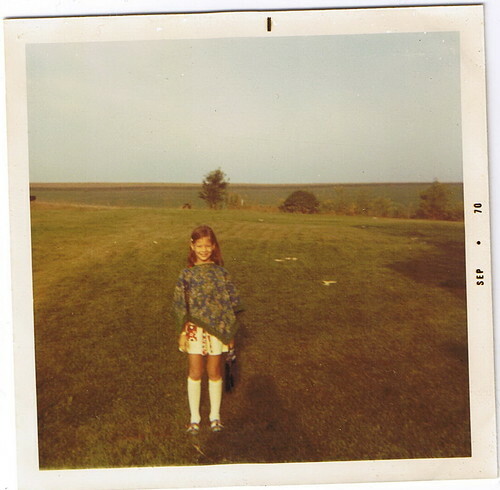 First week of September 1970, before school. I can't seem to get the photos square, however. 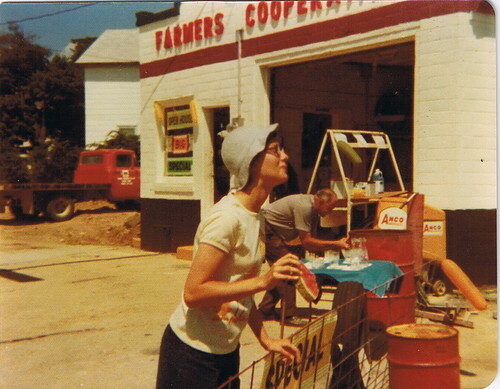 Spitting watermelon seeds at the gas station where dad worked. That's him in the background. They were having an open house event over July 4th, 1976. You had to get the seeds into a box and you won a prize. 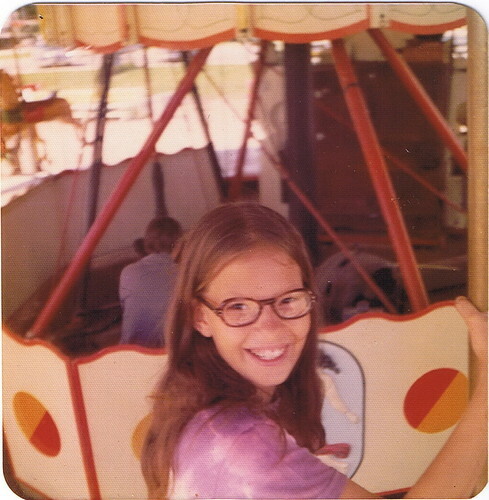 And finally, on a merry-go-round at Paul Bunyan State Park in Bemidji, Minnesota in 1973. Hope your birthday is special.